As Egypt prepares for parliamentary elections at the end of this year there are growing concerns that secular political parties might not be able to compete well. Not only do non-Islamist parties complain of election laws that allocate the majority of seats in the coming parliament to independents, but also internal power struggles and ideological differences could seriously compromise their performance in the coming polls. The last few days saw Egypt's local newspapers running headlines about severe internal power struggles that threaten to divide the country's oldest party — Al-Wafd — into two warring factions. The conflict began in May when an estimated 1,000 Wafdists decided to withdraw confidence from party chairman Al-Sayed Al-Badawi. Egypt's President Abdel-Fattah El-Sisi intervened to mediate between the two rival factions, warning that divisions inside Al-Wafd might create a parliament lacking in secular forces. El-Sisi's efforts went to no avail as the dissidents, led by Fouad Badrawi, the grandson of Al-Wafd's former iconic chairman Fouad Seraggeddin, decided to form a new faction under the title "Al-Wafd reformers." In a meeting held Saturday evening in a new party office, "the Wafd reformers" accused Al-Badawi of squandering the party's liberal heritage and worsening its financial woes. Badrawi told reporters that "Al-Badawi acts like a dictator who stands against democratising the party's internal structures" and that the party faces "a severe financial crisis that might prevent its mouthpiece newspaper from coming out." The meeting received a quick and furious reaction from Al-Badawi who accused the rival "reformers" of doing their best to explode the party from inside, only for "personal interests." Mohamed Abdel-Alim, Al-Wafd deputy chairman and a former MP, told Ahram Online that "the reformers" are leading a conspiracy against Al-Wafd. "This conspiracy was originally concocted by America's former ambassador in Cairo David Welsh (2001-2005) to force Al-Wafd into adopting an extremist liberal Western agenda at the expense of Egypt's national interests," said Abdel-Alim. Meanwhile, a growing internal struggle inside the Dostour (Constitution) Party has also been widely covered by the local media in recent weeks. The party, founded by ex-UN diplomat Mohamed ElBaradei as a liberal revolutionary force after the 2011 uprising, has been the country's most critical voice against President El-Sisi since he came to office in May 2014. Like Al-Wafd, a power struggle inside Dostour between two rival factions has escalated in recent days. In a meeting held Saturday, the party's so-called "Council of Elders" accused the party's chairwoman, Hala Shukrallah, of monopolising power. The meeting said Shukrallah's invitation for electing a new leader for the party, scheduled 28 August, is considered "null." In response, Shukrallah said the "Council of Elders" has no authority to cancel its decision on the party's internal elections or refer her to questioning. Some believe that Dostour's Council of Elders aim to change the party's intransigent stand against President El-Sisi. Hopes were high in past months that revolutionary forces that came into being after the removal of autocrat Hosni Mubarak from power in the 2011 uprising, like Al-Dostour, would join forces ahead of the coming elections under the banner of the so-called "Democratic Current" electoral coalition. 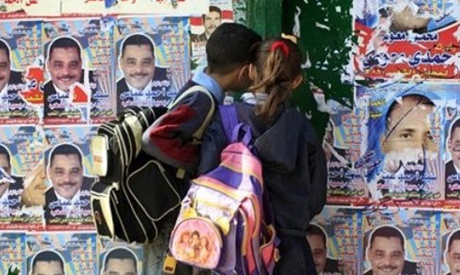 "The internal power struggles inside these forces, coupled with their chronic shortage of money and lack of election skills, now threaten to kill these hopes," said Gamal Zahran, professor of political science at Suez Canal University and a former independent MP. Zahran warns that growing rifts inside secular political forces might lead to an unbalanced parliament. "If these conflicts persist, we would be sure that rich independents and candidates hailing from wealthy political parties (like the Free Egyptians Party founded by business tycoon Naguib Sawiris) will dominate the coming parliament," said Zahran. Zahran also has fears that an election free of strong liberal and leftist candidates might also favour the Salafist Nour Party, especially in rural areas where Salafists and religious clerics enjoy popularity. Meanwhile, political and ideological differences continue to stand in the way of creating a unified electoral coalition ahead of the polls. Some leftist forces, such as the Egyptian Democratic Socialist Party, Al-Karama, and the Socialist Popular Alliance Party insist that they will never join electoral coalitions with remnants of the two former regimes of Hosni Mubarak and the Muslim Brotherhood. By contrast, leftist parties such as Al-Tagammu and the Arab Nasserist Party, argue that "all political forces must stand united against the return of the Muslim Brotherhood to parliament." Nabil Zaki, Tagammu's spokesman, complained in interview with Al-Ahram newspaper last week that "it is deplorable that some leftist forces do not still see the Muslim Brotherhood as the biggest threat to the country's future" and that "this prevents the emergence of a united leftist alliance in the coming polls." "Al-Tagammu does not object to joining a coalition with political forces that include loyalists from the Mubarak regime as long as they were not convicted of any corruption charges and as long as they stand against the Muslim Brotherhood." Irrespective of the above, Zahran said that he still has hopes that the decision last week of the Socialist Popular Alliance Party, an offshoot of the leftist Tagammu, not to boycott parliamentary elections might encourage other revolutionary forces, such as the Popular Current founded by former Nasserist presidential candidate Hamdeen Sabahi, to form a united leftist electoral front ahead of the polls. Zahran himself is leading an electoral coalition under the title the "Social Justice Alliance." Mr. Zahran is partially correct by saying … “The internal power struggles inside these forces, coupled with their chronic shortage of money and lack of election skills, now threaten to kill these hopes” … What is more alarming is that none of these paper parties seem to have a plan on how to address Egypt’s 3 fundamental problems “Food, Jobs, Education”. To be fair to those parties; neither does the Army Party or the Islamist Party have a clue on these issues. WHAT IS EGYPT LEFT WITH? An Army Party squandering the country’s last pennies on war toys, an Islamist Party paralyzed by Wahhabi poison, and Secular Parties spending their kindergarten days learning how to create new names! The much needed secular parties have abandoned Egypt for the sake of personal ambitions. They are more like private clubs discussing politics. They all favor 'the great Egyptian people who built the Pyramids, hate Israel and the US, but none say what they are for and how they hope to accomplish their goals. None look to the future. Nonetalk with the people in the villages (after aall they are not air conditioned). I have no use for The Brothers or Hour Party, but they are working politics and gaining support from the people. The secular parties would do well to follow their methods. All politics are local.